The A-Grade left-armed teak daybed is a piece of furniture made for those who really want to stretch out and feel free. 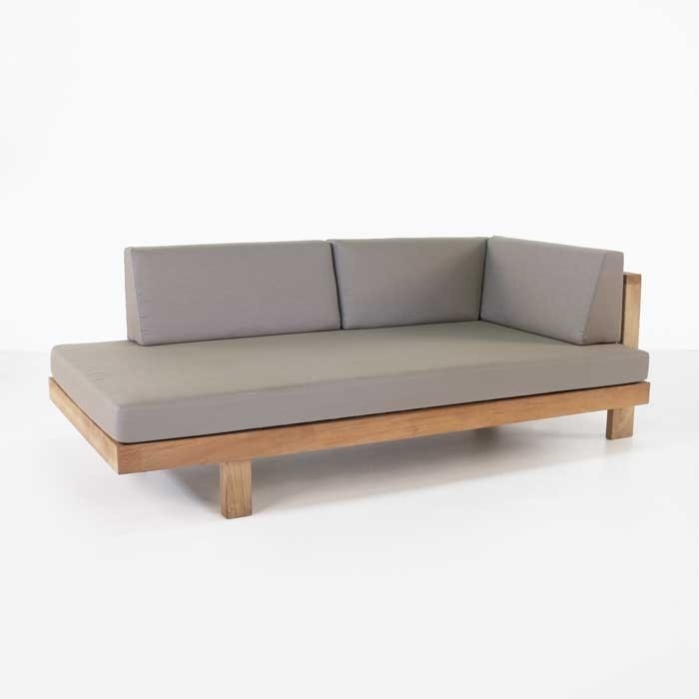 This piece has a prominent platform supported by clean, minimal legs and a low profile frame structure that allows the user to fully utilize the huge lounging area. Like the other pieces in the Cabo collection, there is a massive space to relax on the seating surface, leading most people to the belief that this piece was built to enjoy a warm day laying out, or curl up on chilly fall evening. 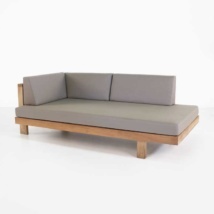 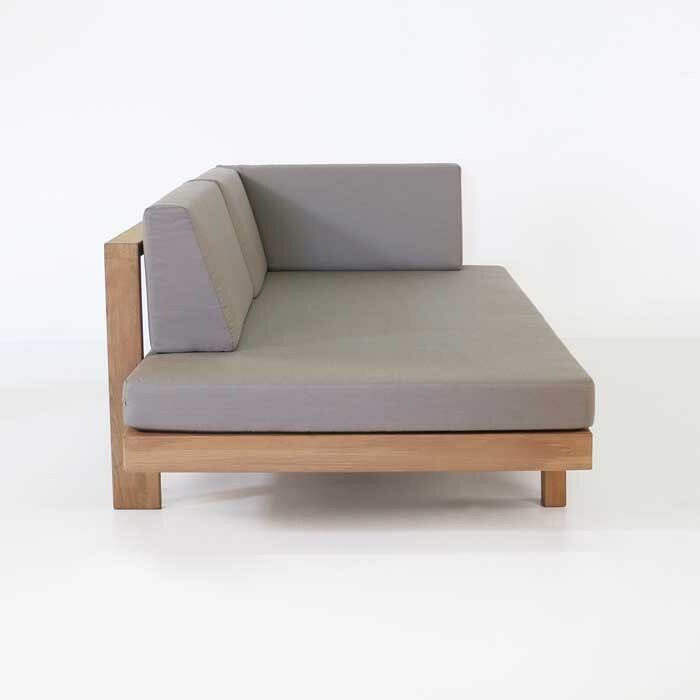 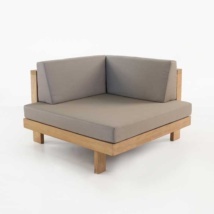 The design is without frills and gives the user an excellent opportunity to make a usable space out of what is essentially a lounging daybed. 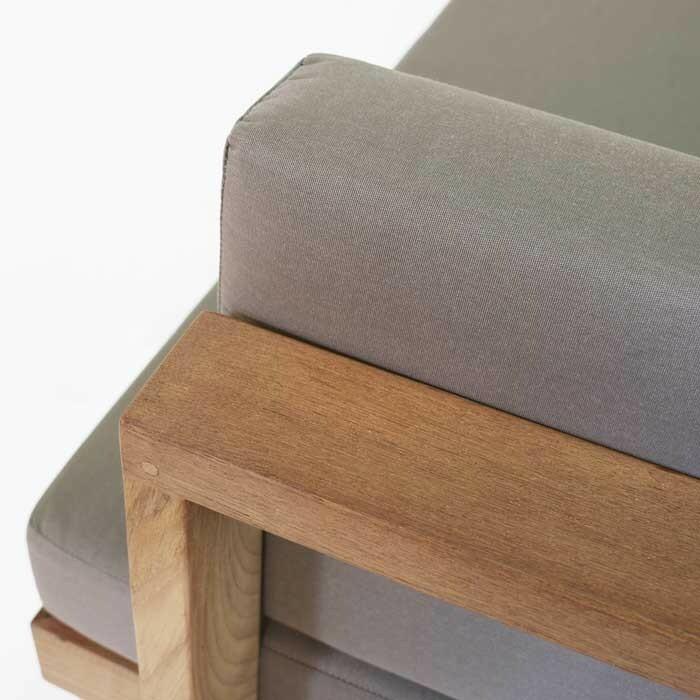 An added benefit of the collection’s low profile is that it doesn’t detract from the view of the horizon as you sit on it. 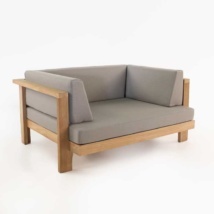 When the teak daybed (left) is combined with a Cabo corner chair and a right arm teak daybed, it forms a larger sectional perfect for relaxing. 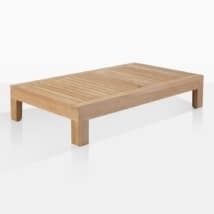 Add a couple of c-table coffee tables to hold drinks or books and it completes the creation of a great place to entertain friends. 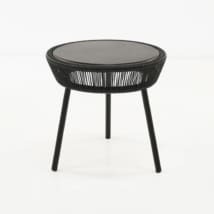 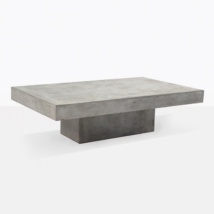 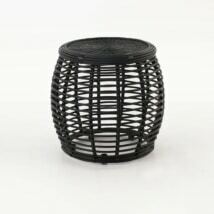 On it’s own, this substantial piece will work just fine for a smaller patio. Together with the rest of its collection, it forms a unique relaxation spot big enough for anyone to stretch out and enjoy the outdoors. 14” to the top of the cushion from the floor, this piece allows you to slide easily onto or off of the seat and gives it that low mellow feel. 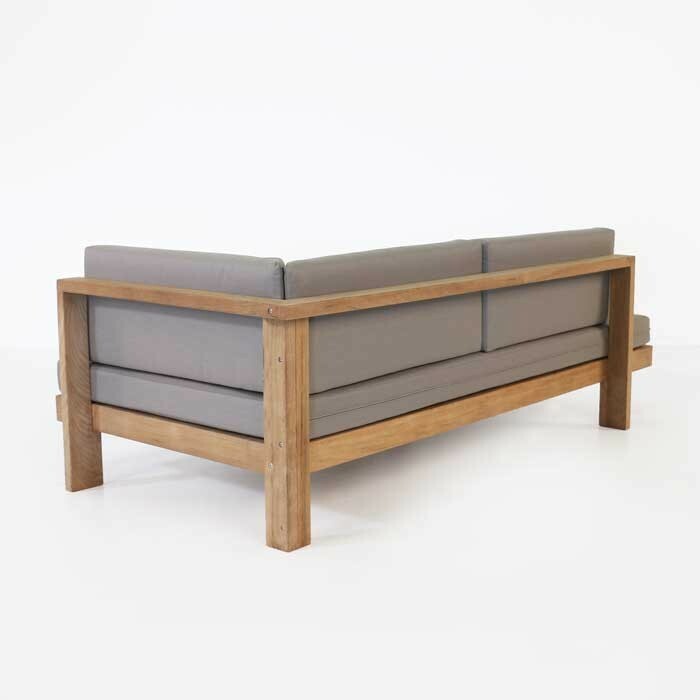 It’s important to mention that the left arm teak daybed is the piece that has the arm on the left as you’re sitting in it.